Coming off of their best season in program history, the Saint Martin’s softball team is the unanimous pick to win the 2014 Great Northwest Athletic Conference championship in the GNAC preseason coaches poll released today. The Saints return two of the top players in the conference, senior second baseman and 2013 GNAC Player of the Year Lacey McGladrey and Sam Munger, the GNAC Pitcher of the Year and reigning batting title holder with a .426 average last season. And the Saints are setup for years to come with one of the youngest teams in the league. McGladrey is the lone senior on the squad with juniors Munger, Taviah Jenkins, Dani Wall and Division I Farleigh Dickinson transfer Maria Roney, sophomore Megan Miller, a conference honorable mention at third base as a freshman and a strong freshman class that will likely contribute. The Saints kick off their season on February 1st at Cal Baptist and, fingers crossed for good weather, will play their first home game on March 1st against Northwest University. 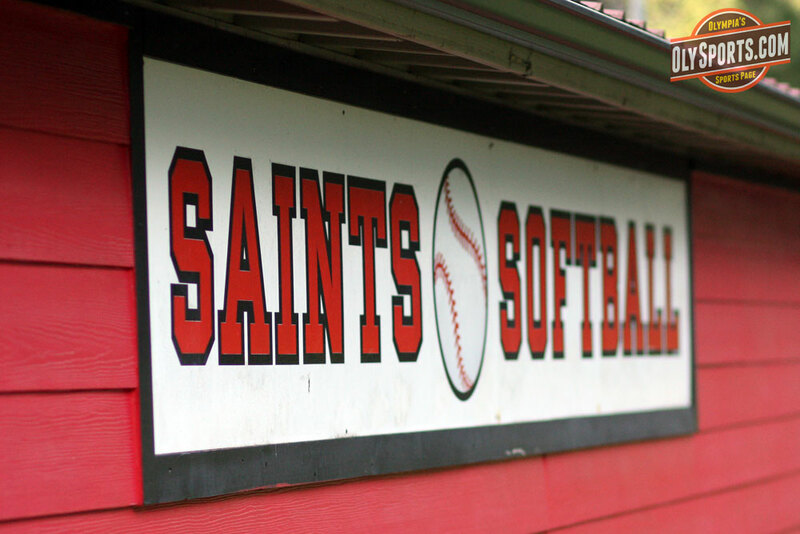 PORTLAND, Ore. – Three years ago, Saint Martin’s, which had never previously had a winning season in softball, was coming off a 9-30 campaign. How things have changed since then for the Saints. After posting a 33-18-1 record in 2012, SMU won 41 of 57 games last year under third-year coach Rick Noren earning its first GNAC title and NCAA post-season berth. The Saints then won two of their four games in the NCAA sub-regional eventually being eliminated by West Region champion Humboldt State. This year they are overwhelming favorites to win their second consecutive GNAC title and perhaps make a deep run in the NCAA tournament. If you look at the Saints roster and what their returning players accomplished, the poll results should not be a surprise. Though they don’t have the most returning players in the GNAC (in fact, they rank just fifth in that category), they certainly make up for the lack of quantity with quality. Among nine returnees are arguably the league’s best two players – second baseman Lacey McGladrey and pitcher-shortstop Sam Munger. “Both Sam and Lacey had outstanding years last season and we are excited to see if they can improve on their performances this year,” said Noren, who has a 485-209-1 record in 17 seasons as a collegiate head coach including 83-64-1 in three years with the Saints. McGladrey was the GNAC’s Player of the Year and earned first team NFCA and second team Daktronics All-American honors batting .397. McGladrey, meanwhile, led the GNAC in on-base percentage with a .459 average and she was also the league leader in runs scored with 65 – 23 more than anyone else in the conference. She also ranked second in stolen bases with 18. Munger was a star, regardless, of where she played earning second team NFCA and Daktronics second team all-region honors. As a shortstop, she won the conference batting title by 29 points and led the league in hits with 84. She’ll take a 26-game hitting streak, the 18th longest in Division II history, into the 2014 season. In the circle, she earned GNAC Pitcher of the Year honors leading the conference in wins with 24 and finishing second in ERA (2.51). Even with McGladrey and Munger, the Saints rank as one of the younger clubs in the GNAC. Only five of its 20 players are upper classmen and 10 of them are freshmen. McGladrey, the lone senior, is joined by four juniors – Munger, outfielders Taviah Jenkins and Dani Wall and transfer Maria Roney, a two-year starter at Division I Fairleigh Dickinson. Roney joins the Saints after hitting .286 and driving in 42 runs in 96 games at Farleigh Dickinson. “Maria will help strengthen our catching position and will be a fantastic vocal leader on the field,” Noren said. This year’s team also includes a talented crop of eight freshman that will be looking to earn a starting spot. The Saints also return five sophomores in that group is Megan Miller who started at third base for SMU as a freshman and earned honorable mention All-GNAC honors. The Saints open the 2014 season next weekend at California Baptist on Saturday, Feb. 1st at 12:00 pm. For the complete GNAC release, CLICK HERE. Posted on January 22, 2014, in College, Saint Martin's University, Softball. Bookmark the permalink. Leave a comment.